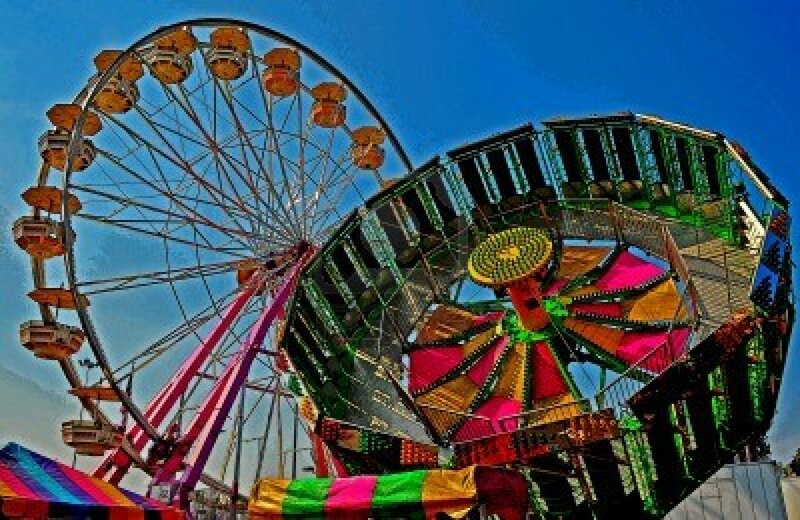 The 2013 Grant County 4-H Fair is June 16-22. Grants Admisstion is free, but there is a cost for all rides, games, food, etc. Carnival rides start Tuesday, June 18th at 5:30pm, and will continue every night through June 22nd. Pre-sale for carnival ticket wristbands (unlimited rides) is $12 per person - they are on sale at Lances New Market, Via Credit Union or Afena Credit Union through June 17. The wristband can be redeemed any night of the carnival. After the presale ends June 17th, wrisbands will be $18 each, and can be purchased at the carnival. My kiddos are very excited for the fair! We've purchased the discounted wristbands the past two years, and it was well-worth it! They rode/played to their hearts content, and I definitely got my money's worth!